“Adventure is what you make it.” And this is what all of E.O.F.T. athletes did. They packed their stuff, headed into the unknown. But adventure is not only about where you’re headed but how you head there. Have a look at the most unique adventure vehicles from the last 15 years of European Outdoor Film Tour. One day the 21 year old Norwegian Jarle Andhøy saw a 8,25 meter sailboat. Driven by the idea not to follow in everyone’s footsteps and go studying, Jarle bought the boat and called it “Berserk”. “I had no sailing experiences but I saw this wrack of a boat which was like a symbol for my dreams.” So the old boat became the young adventurer’s home for the next months and years. Jarle wrote “Berserk” in red letters on the boat, raised a Norwegian flag, put on a viking helmet on his wild hair and went on an unbelievable adventure with his crew (David and Manuel, who had never been on a boat before). Although people warned him to sail to the North Sea with the Beserk, Jarle took it up a notch and sailed his beloved Berserk to the Antarctic. He stored water, fuel and food for a couple of weeks and headed off into the unknown. The cabins below deck had been narrow and uncomfortable but Jarle loved his home. He sailed through the Drake Passage, one of the most dangerous passages in the world, where plenty of voyages took a sudden end. After arriving in the Antarctic the engine broke and the crew was stuck. But Jarle and his crew took this forced break to spend some days exploring the beautiful spot and getting the boat ready again. Shortly after returning from the Antarctic, Beserk sank. 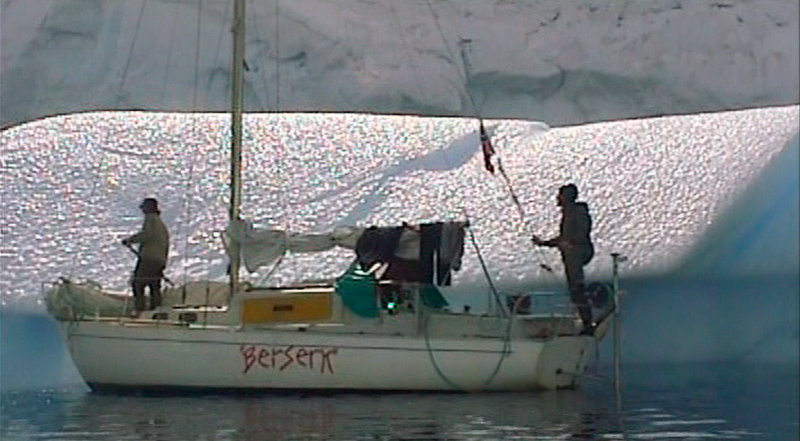 A couple of years later Jarle sailed to the Arctic in another Albin Vega, called Berserk II. Seth Warren is one of the best kayakers in the world. But beside his affinity to outdoor sports and adventures, Seth has a big heart for the environment. That’s why he and pro kayaker Tyler Bradt looked for an extraordinary adventure: The two guys drove from Alaska to Patagonia – with old grease and frying fat instead of fuel. In February 2006 Seth and Tyler drove the Pan-American highway in an old fire truck without using any fuel or diesel: Roughly 48, 000 kilometres from Alaska to Ushuaia – the most southernly city in the world. 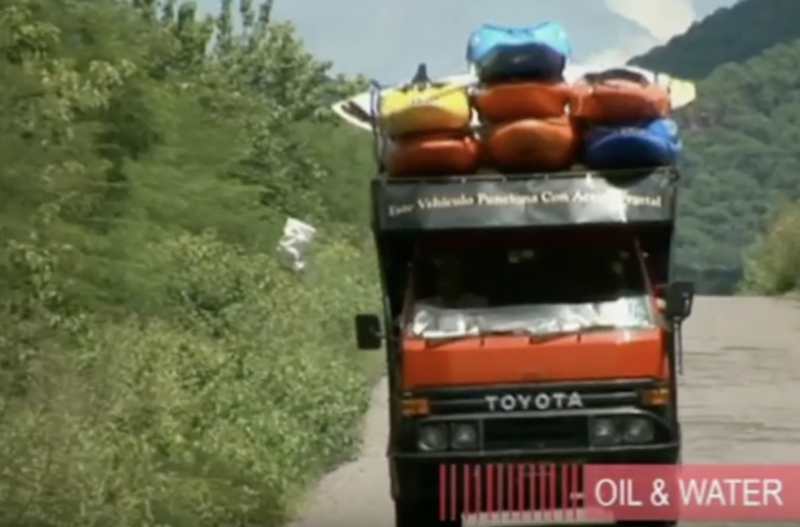 The two adventurers drove the old, red Japanese fire truck, packed with kayaks and gear through the desert, the jungle and across the high mountains of the Andes. And suddenly the kayaking in-between had become secondary. The adventure became an educational journey about environmental awareness and modern day adventure. Their project BEC (Biofuels Education Coalition) had the goal to show that it’s possible to use alternative fuels. On every stop Seth and Tyler explained how to change a diesel engine to a multi-fuel engine that can run from bio fuel to vegetable oil and even chip fat. Sometimes a vehicle is a blessing and a curse at the same time. In this adventure the vehicle had forced two guys to give up on their first try. The Australians Chris Bray and Clark Cater wanted to cross Victoria Island in the far Northern part of Canada. The idea was to set out to conquer 1000 kilometres of harsh arctic tundra by walking the whole width of Victoria Island, the world’s ninth largest and mostly unexplored island deep in the Arctic circle. To tackle the elements they built an aluminum kayak with wheels, an homemade amphibious cart called PAC (Paddleable Amphibious Cart). The idea was simple: their vehicle could swim and be moved on land. But it was harder than they thought: The wheels didn’t run smoothly on the ground, instead they just stuck in the mud and so did Clark and Chris with their adventure. They barely made one kilometer per day. On day 57, less than one third, the two men had to give up. It was too hard. After six months Chris and Clark were looking for a new adventure: But all thoughts lead them back to Victoria Island. This time the PAC had to be reconstructed. 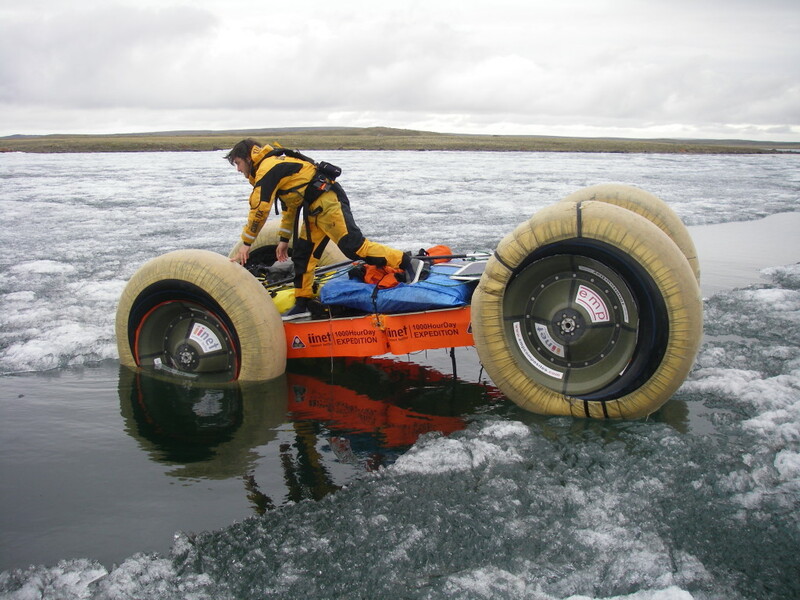 This time around, monstrous but very light tractor wheels covered with Kevlar should help to cross the island. After three years of preparation they started the journey again: At the beginning of their trip the PAC 2 had been rolling smoothly on ice, sharp rubble and even knee-deep mud with its big wheels. But this rolling and swimming cart had some weaknesses of its own. At one point the axle broke – fixing it became a little detour and an adventure of its own but with determination and sheer will power Clark and Chris succeded: The two were the first team to ever cross the Victoria Island by food. In the summer of 2011 the American alpinist and climber Kyle Dempster rode his bike to the last unconquered summits of Kyrgyzstan. And the simpler the plan the bigger the adventure. 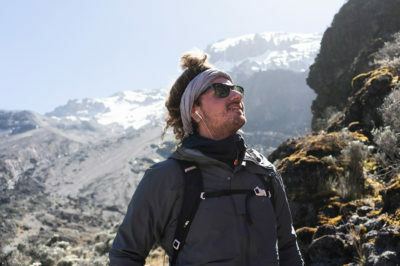 And for Kyle that meant the biggest challenges of the trip lay not only in the mountains but on his way to get there. With no expectations, Kyle just took off on his bike with a couple of mostly-accurate maps, climbing gear and a lot of courage. 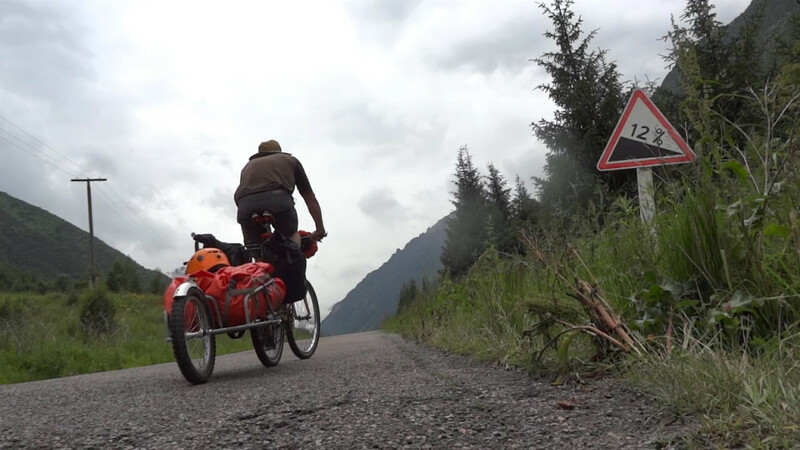 He spent two months pedaling and pushing his bike, climbing new routes and doing first ascents, and scariest of all: crossing roaring rivers. In total Kyle travelled 1200 kilometers on roads, small trails and paths that can’t really count as such. With just his bike and a camera as his only partner, friend and sometimes the only receiving end of his conversations for days – Kyle Dempster got what he came for – a true lonesome and challenging adventure. Tom Belz is missing one leg but he will not allow himself to be hindered by it. His ascent of Kilimanjaro is the best example of his tenacious spirit. 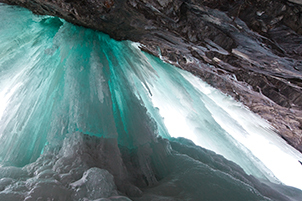 In their element … Whether it’s a rock wall, a cave, a frozen waterfall or a desert sandstone formation, E.O.F.T heroes tell us their favorite spots around the globe. Hard to believe, but Will Gadd likes it really cold. 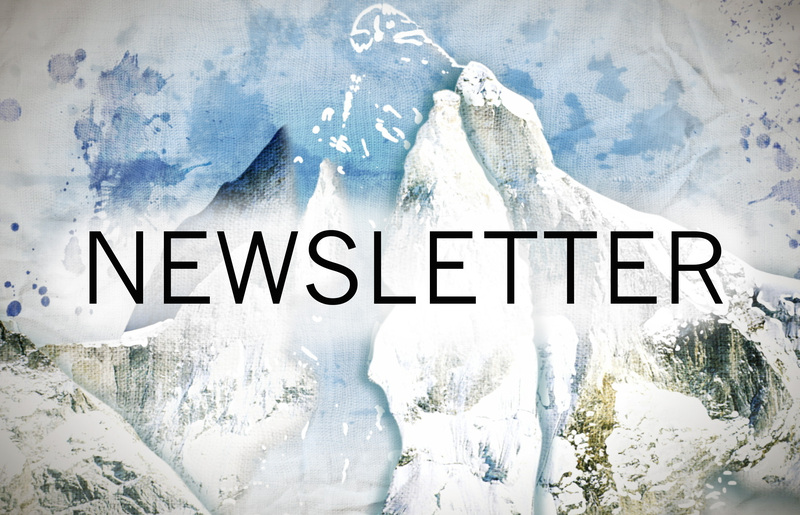 Guido Perrini is one of the most renowned filmmakers in the ski and snowboard genre. 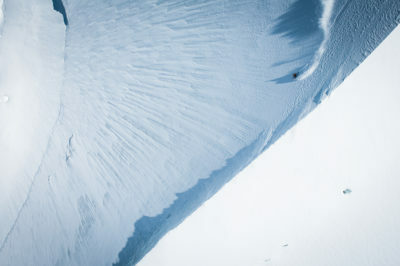 For LA LISTE the Italianborn director flew over the highest peaks of the Alps to capture freerider Jérémie Heitz’s breathtaking lines from above.